Rayons ♩ The Bollweevils And Sleepasaurus - Plan 7" From Outer Space! 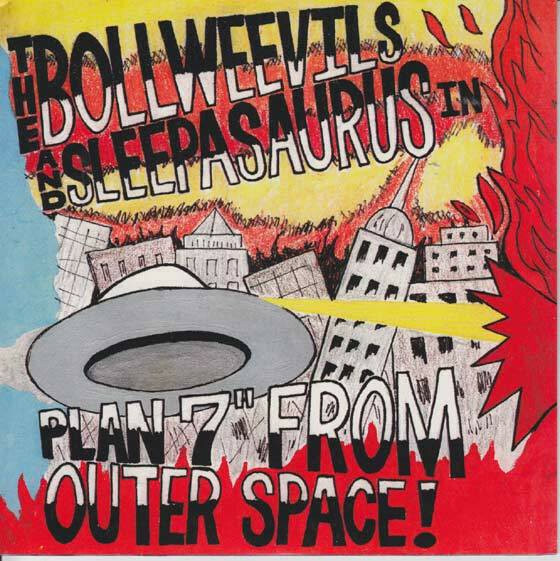 The Bollweevils And Sleepasaurus - Plan 7" From Outer Space! Black vinyl. Also available on white.